The colorful nature of a tropical setting is quite inspiring when it comes to designing. 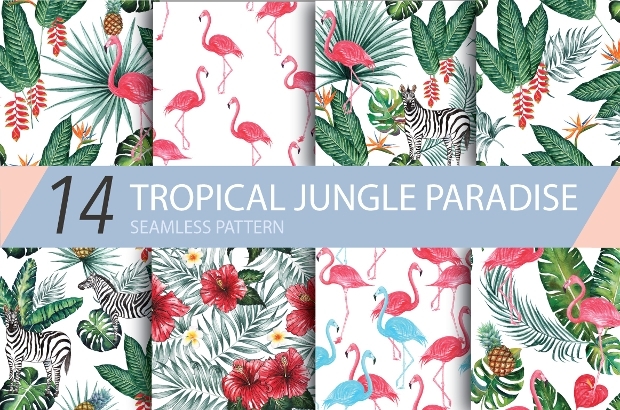 Tropical pattern designs have found a wide application ranging from interior wall décor to desktop wallpapers. 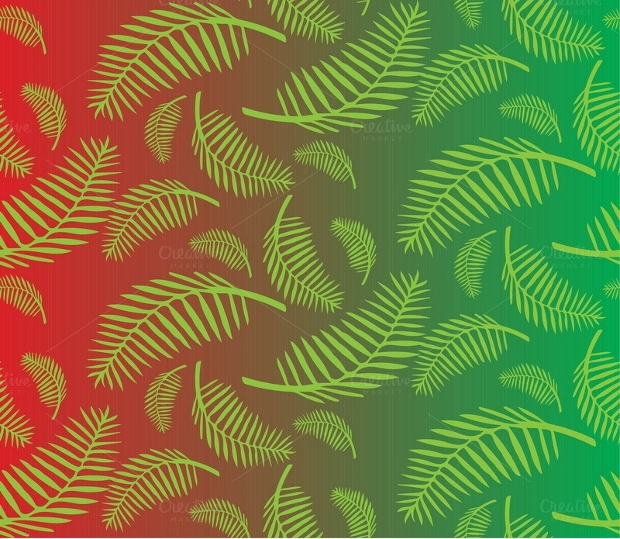 It is perhaps the beauty of tropical patterns that makes them ideal for use in a wide range of web and graphic design projects. 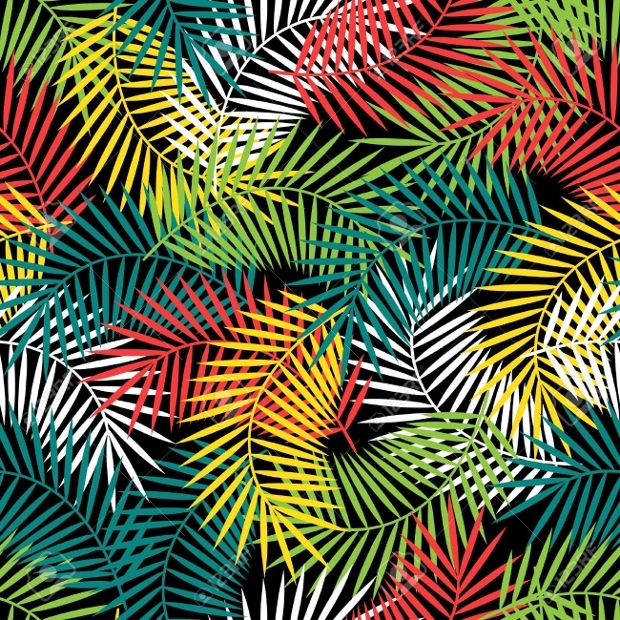 Today, we are delighted to share with you some mind-blowing tropical pattern designs that are likely to make your desktop screen or graphic design look amazing. 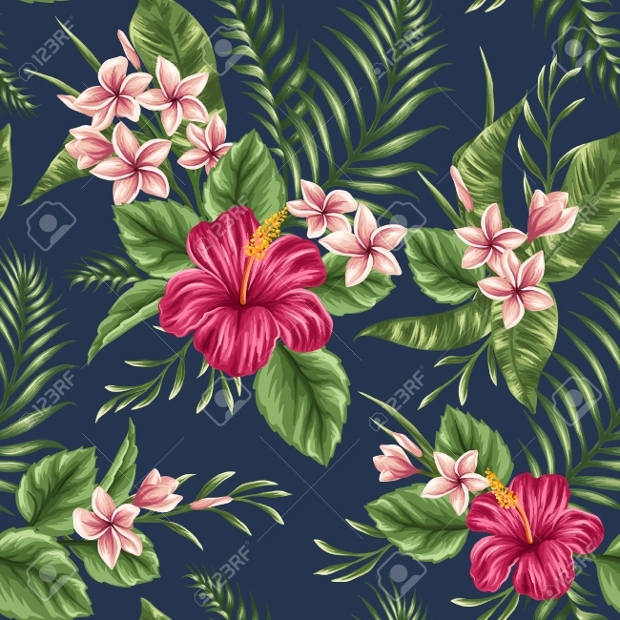 This high-resolution seamless pattern featuring a colorful hibiscus flower flanked with green leaves is quite stunning. 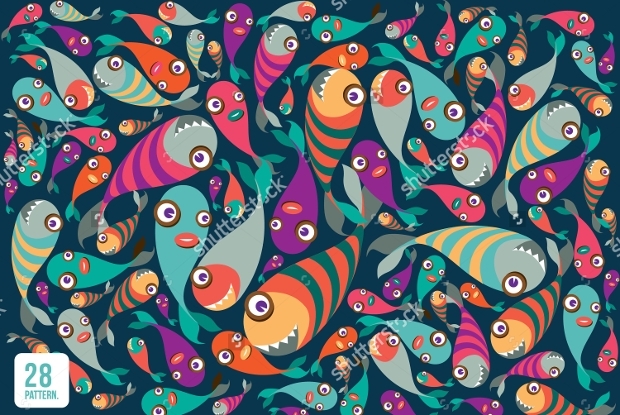 You can use this gorgeous pattern design as a background for your computer screen, wallpaper, etc. It is available in Vector EPS, AI Illustrator, and JPG file formats. 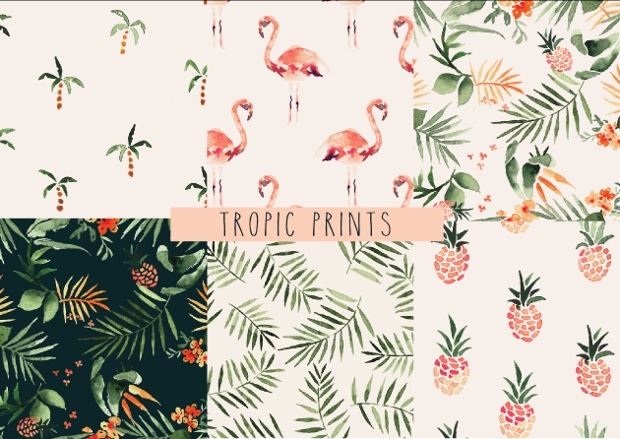 This set of tropical watercolor patterns available in TIFF and JPG file formats looks so gorgeous that you won’t wait using it in your design projects. 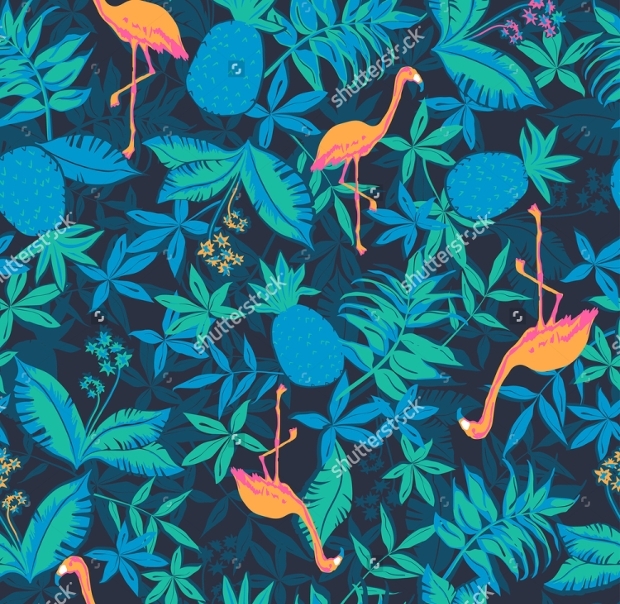 This set featuring beautiful flamingos, pineapples, palms, etc, is ideal for use in your invitation, wedding, website, branding, product packaging, etc. 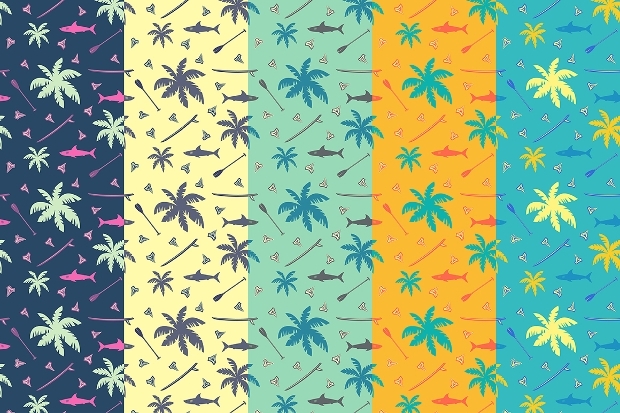 This colorful collection of tropical fish pattern designs looks very exciting. It will look great used as wallpaper or background for assorted aquatic or nature-themed design projects, in cartoon work, etc. 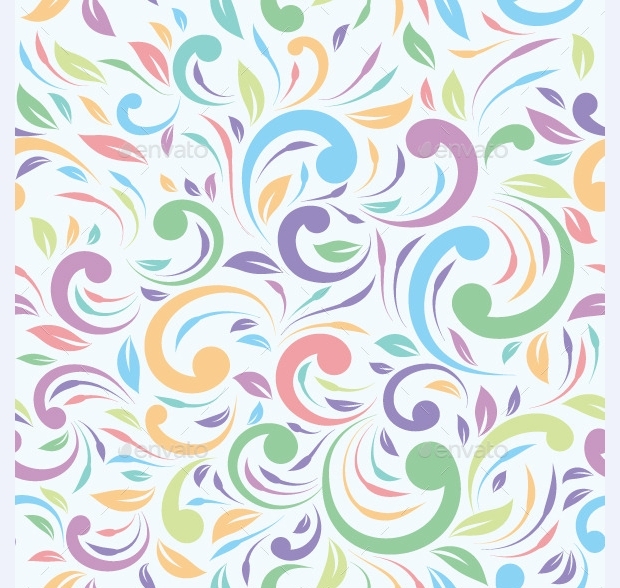 Your artwork is bound to stand out gorgeously with this seamless pattern. 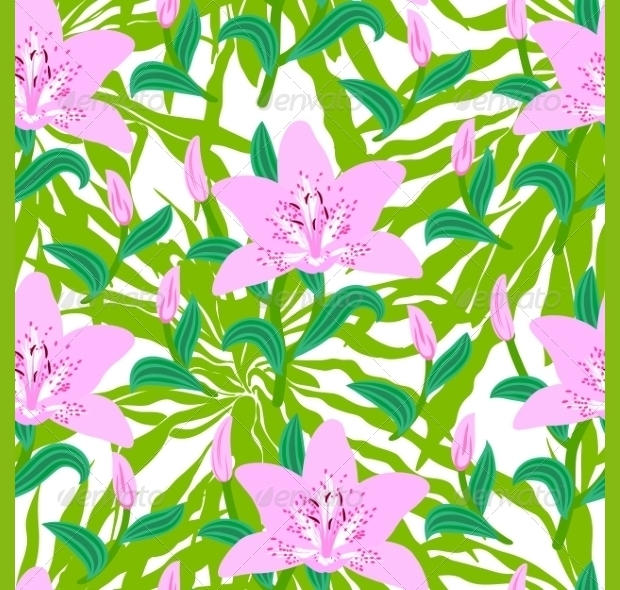 The conspicuous pink lily flowers amid the green leaves make this pattern look very impressive. 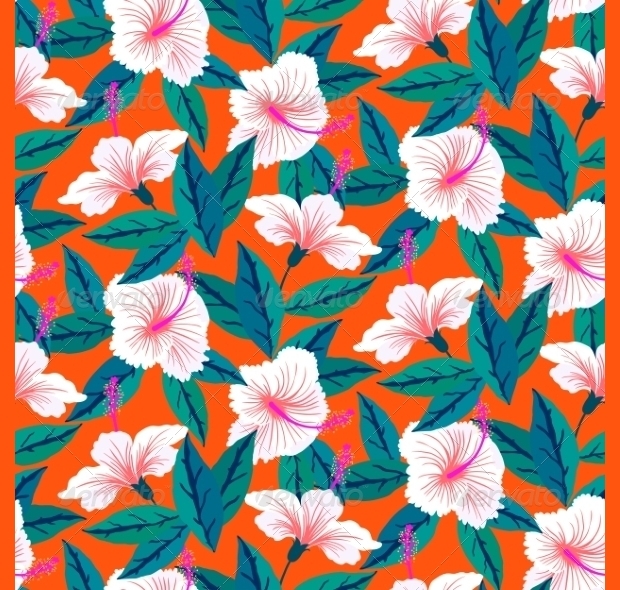 This pattern is ideal for use as background in your nature, summer, fashion or textile-related design projects. It is downloadable as Vector EPS, AI and JPG formats. Want to set the right summer mood with your artistic work? 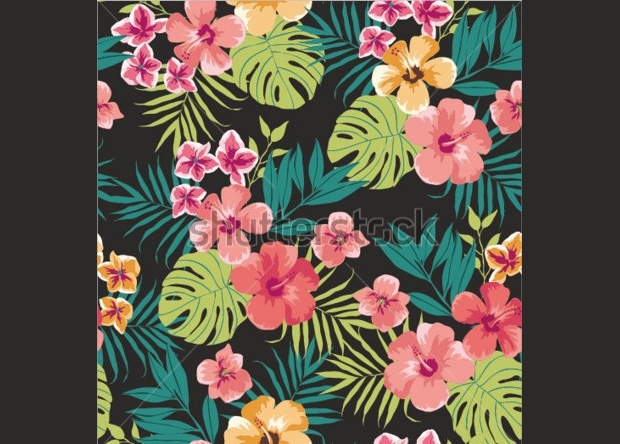 Then perhaps there could be no better way of doing it than with this gorgeous pattern design depicting the blooming beauty of tropical foliage. It is available in Vector EPS and JPG file formats. 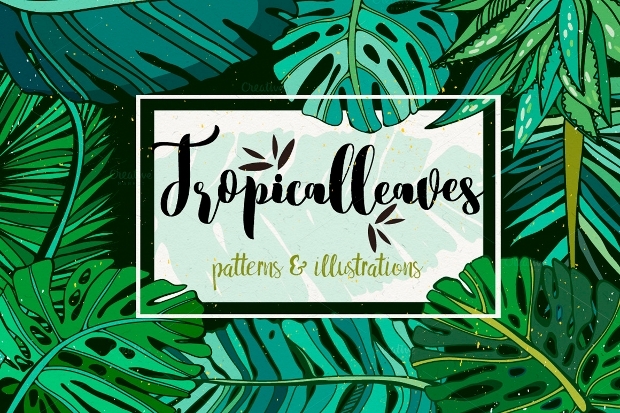 This abstract watercolor pattern featuring gorgeous leaves can be a perfect way of giving your graphic or web designing some impressive tropical touch. This pattern comes in spectacularly high resolution. This beautiful design is ideal for use as background, wallpaper, etc of your nature-related projects. The conspicuous hibiscus flowers look stunning on the coral red background. 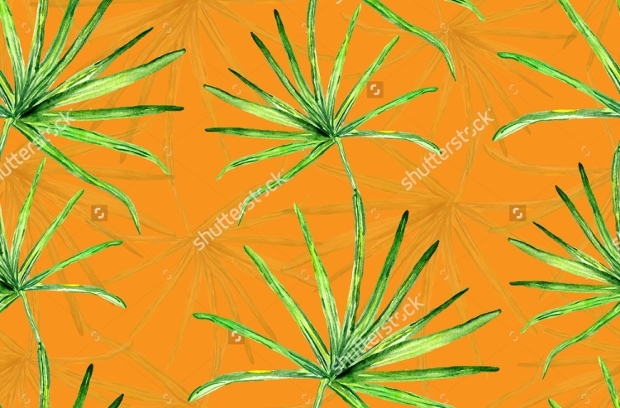 This high resolution tropical nature-inspired pattern can look great if used as a background on your web, graphic or print design work. 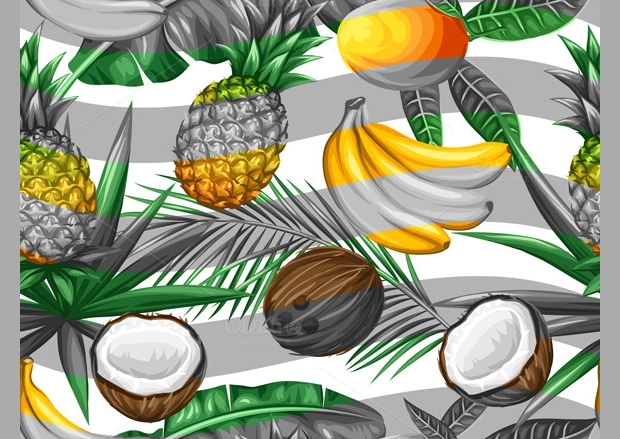 This great tropical design is obtainable as Vector EPS, AI, and JPG files. This set is packed with ten gorgeous seamless tropical summer patterns that come in impressive pastels. 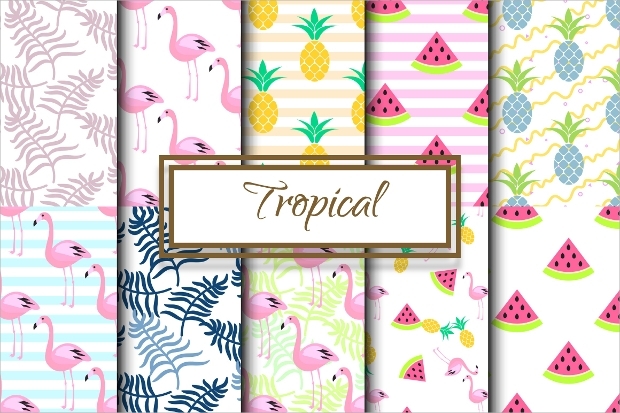 Whether it is the flamingo, pineapple, palm leaves or watermelon slices, these patterns are likely to evoke a real tropical summer feeling. 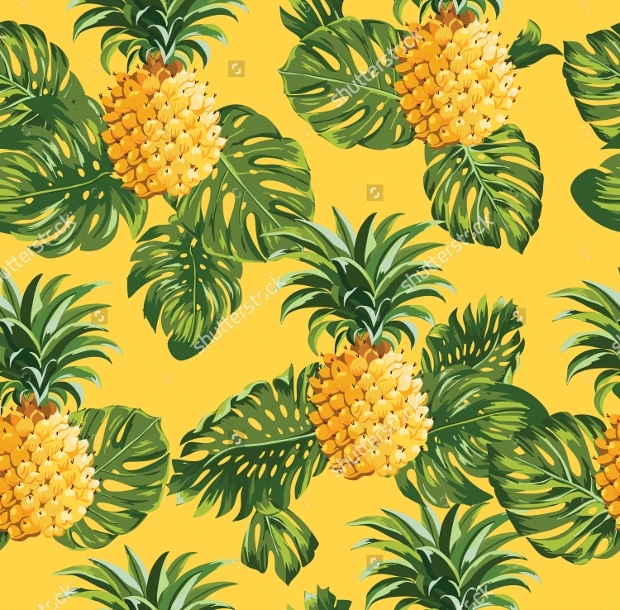 The view of this seamless pattern featuring colorful pineapples can induce the sweet feelings associated with tropical beauty. You can use it as a backdrop for your party invitation, valentine, wedding, birthday and more print designs. 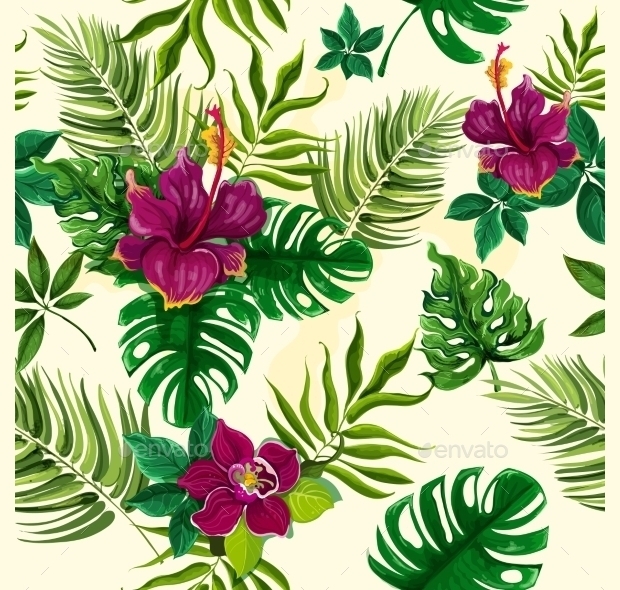 This seamless pattern featuring heliconia plant with red flowers looks quite graceful. 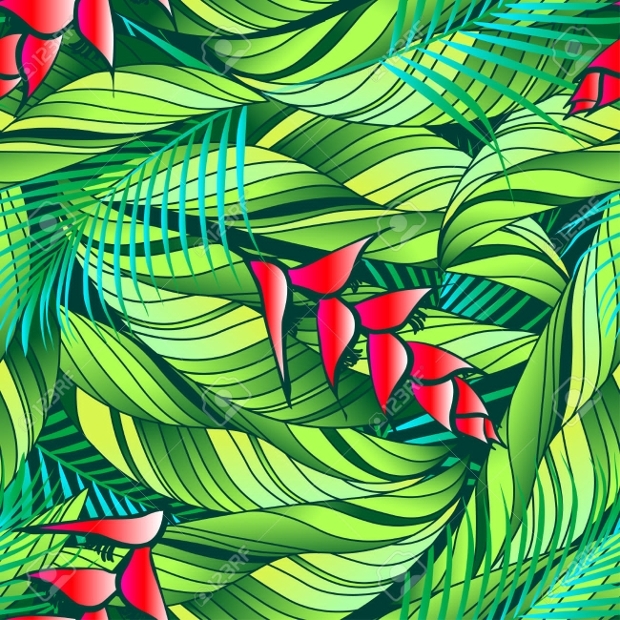 It depicts the beauty and lush of tropical forest and foliage. 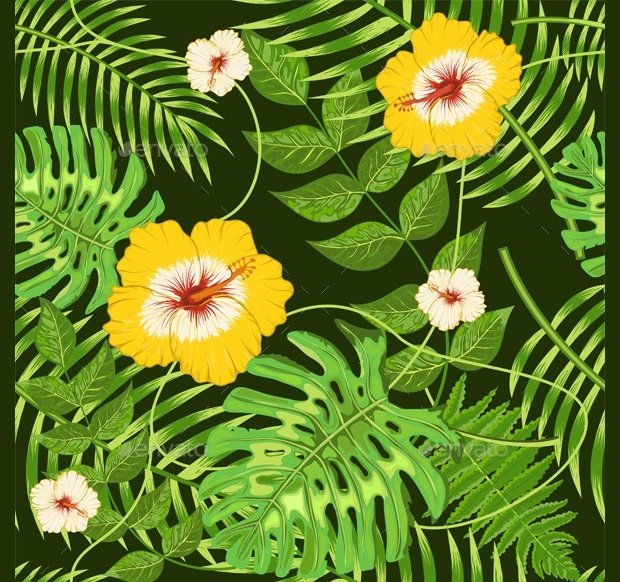 This beautiful pattern is perfect for use in your assorted nature related design projects. 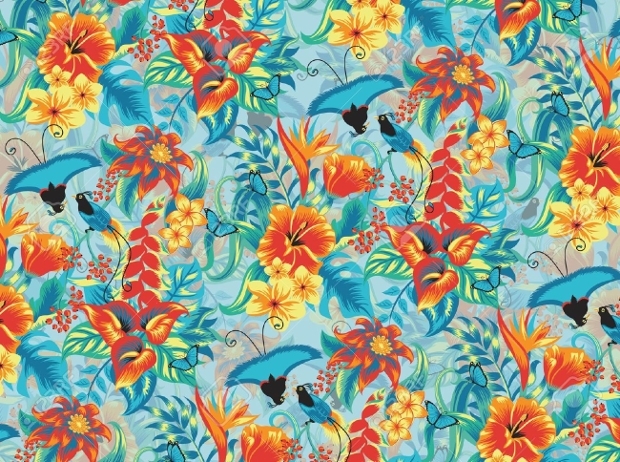 The above collection has probably offered you with enough options of attractive tropical pattern designs to choose from. Since you have a number of designs to choose from, you will definitely find one that appeals to you most. Just go ahead and make your selection and create great backgrounds for your design projects. Happy designing!